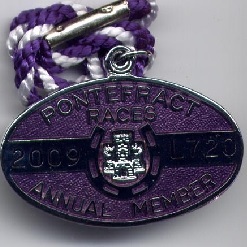 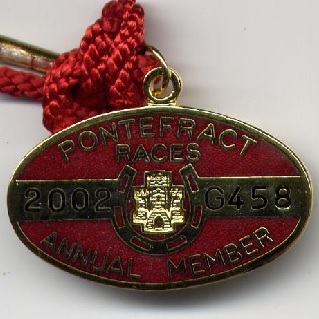 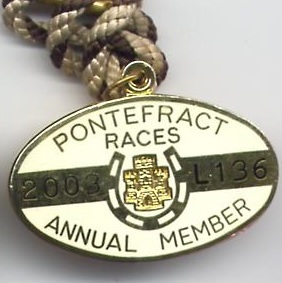 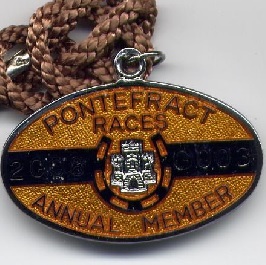 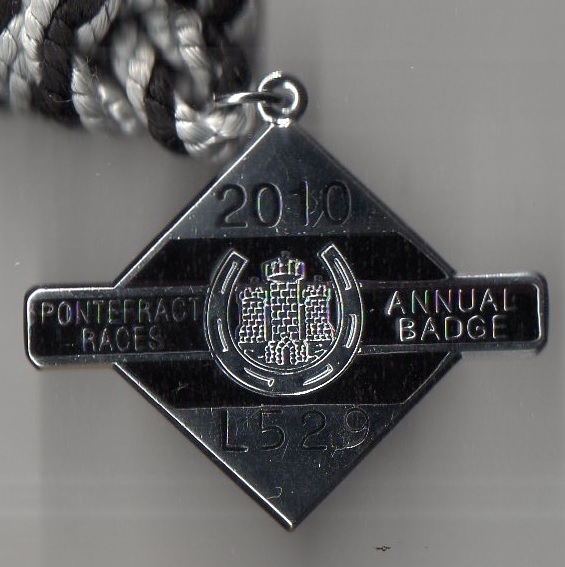 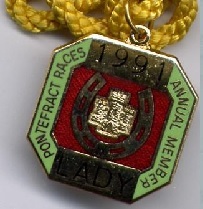 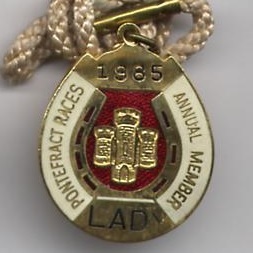 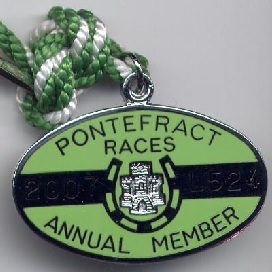 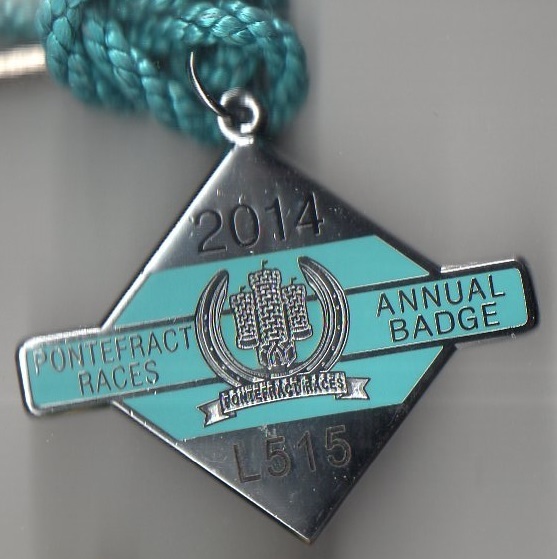 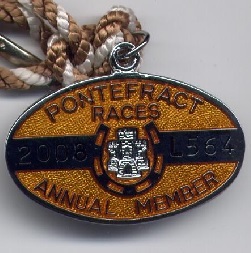 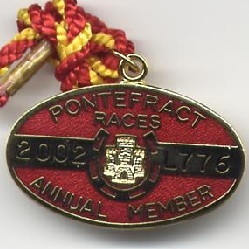 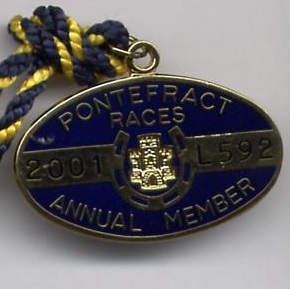 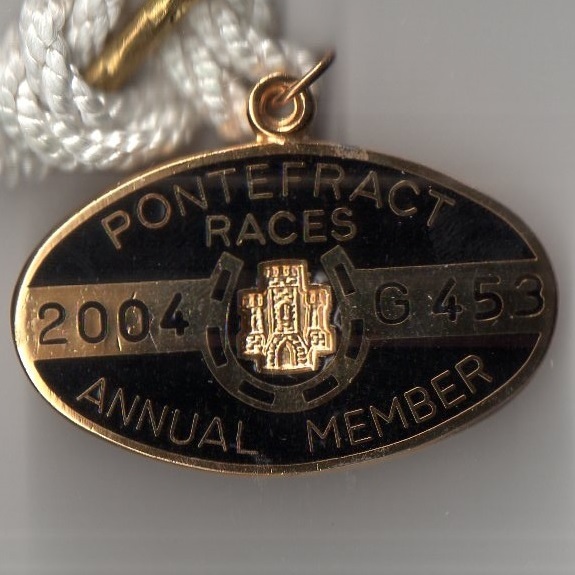 The earliest evidence of racing in the Pontefract area was in March 1648 when races took place near Pontefract Castle. 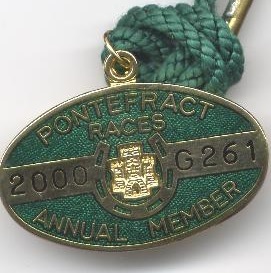 Captain Baines, in charge of Cromwell’s soldiers which had besieged the Castle, questioned whether he should ride his brothers grey mare in one of the races. 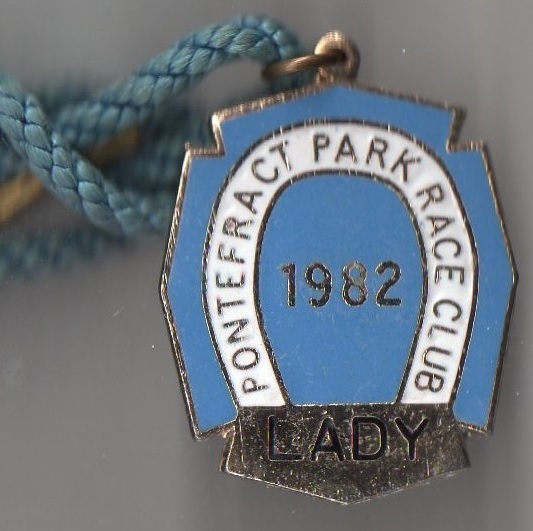 Meetings were staged regularly over the next century and a half on a variety of courses, including on Pontefract Park, as evidenced by the two newspaper articles shown below. 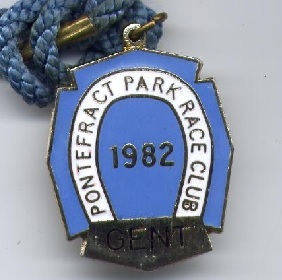 However, it was not until Tuesday 5th October 1790 that a meeting was held in a park close to the present day racecourse. 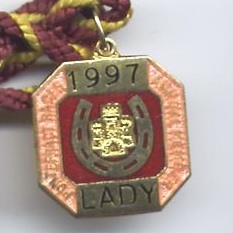 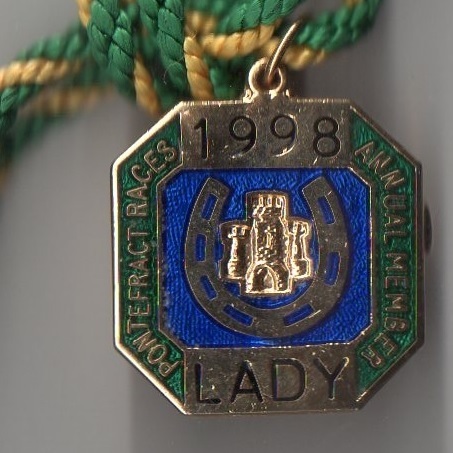 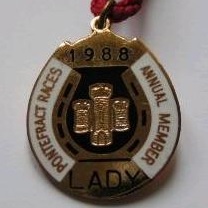 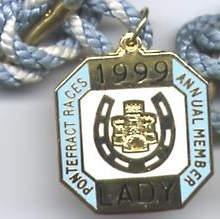 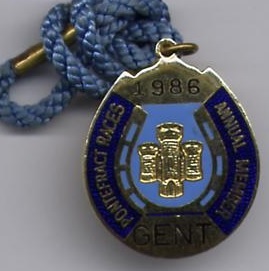 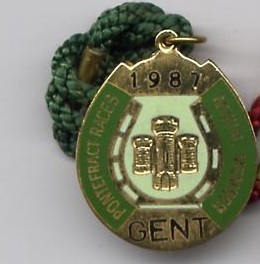 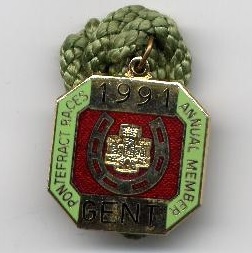 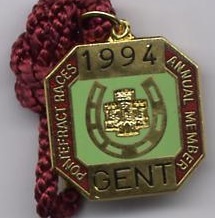 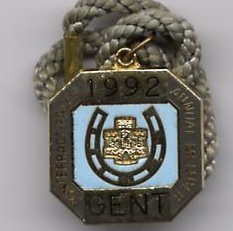 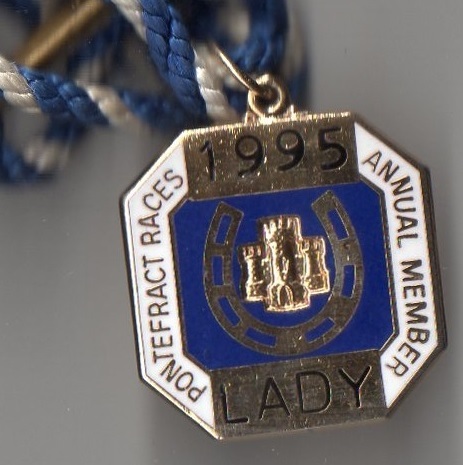 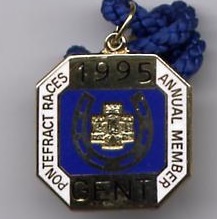 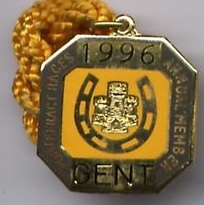 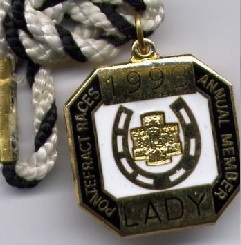 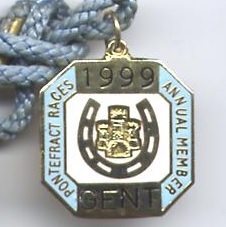 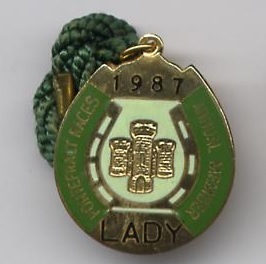 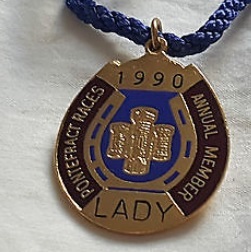 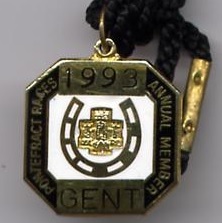 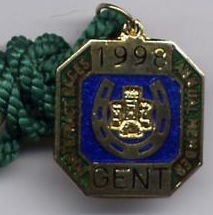 In 1802 Members badges were sold, allowing members entry to the course for the next 20 years. 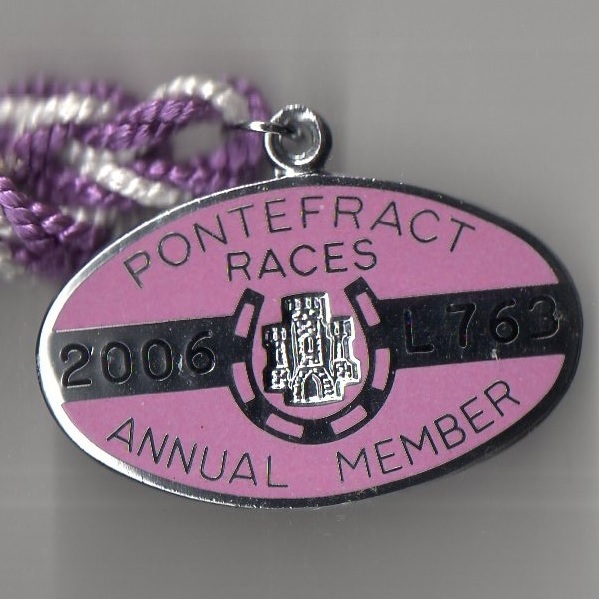 Subscribers to the £50 scheme were issued with a silver ticket and the funds enabled the first grandstand to be built. 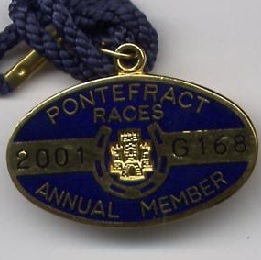 The Pontefract Cup was launched in 1803 and four of the first five occasions it was contested were won by Lord Darlington, the result of the inaugural running is shown below. 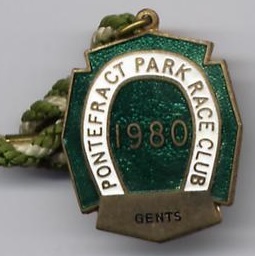 There was disquiet in 1831 when Pontefract races were reported to be in decline by the Sporting Magazine and in danger of ceasing. 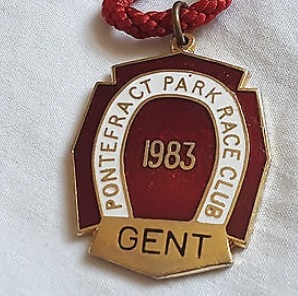 This news was not taken well by all of the ‘members’ who had subscribed £50 and they threatened to dismantle the grandstand. 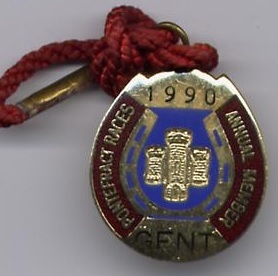 In 1906 the Corporation leased the racecourse ground to a management group led by the Mayor, the Alderman and the Burgesses. 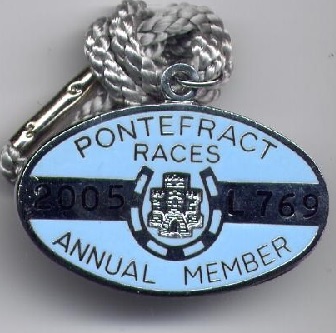 Racing ceased during the war years, but in 1916 the Pontefract Race Company was formed under the chairmanship of Major General Sir Loftus Bates. 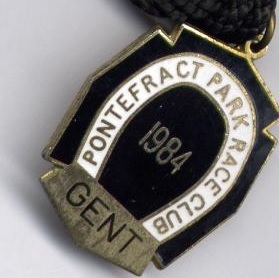 During the Second World War Pontefract was one of only two Northern courses allowed to hold racing, the other being Stockton. 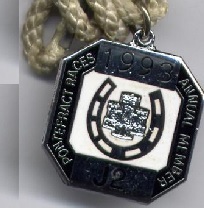 This enabled the substitute Ebor to be transferred from York in 1943 when Yorkshire Hussar was successful. 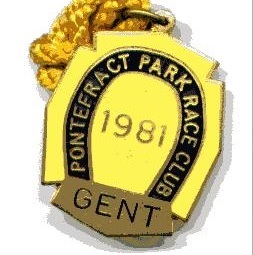 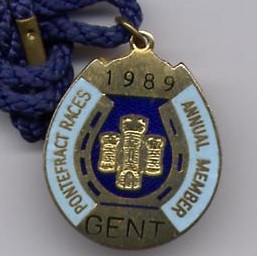 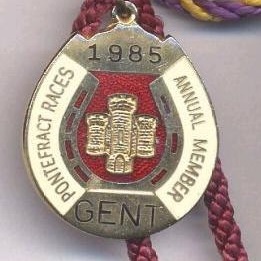 On Wednesday 6th April 1983 the course was transformed when the previous horseshoe shaped course became an oval, enabling races of up to two miles to be contested, making it the longest continuous flat racing circuit in Britain. 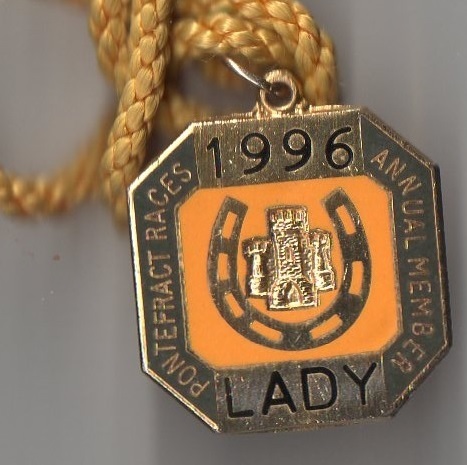 One of its principal races is the Listed Silver Tankard Stakes for 2 year olds over a mile which was first contested in 1993 when won by Barbaroja, trained by Jimmy Fitgerald and ridden by Walter Swinburn.  Full results from that race are shown below. 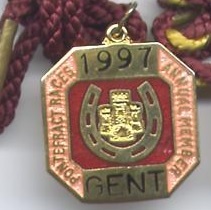 Currently the course offers 16 fixtures annually.